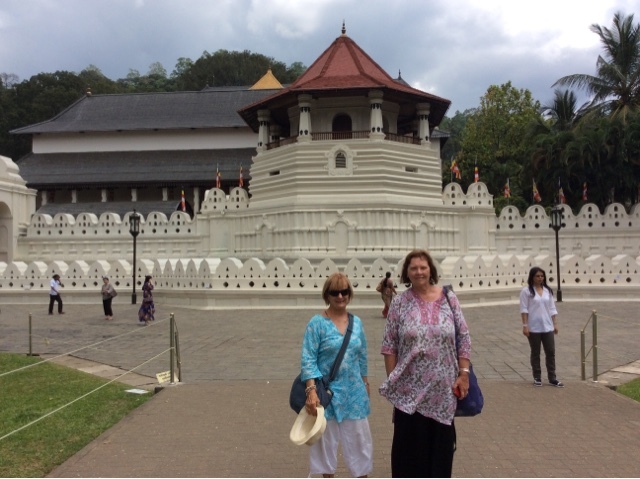 Departing today for Kandy which was the last Royal capital city, altogether over 2300years Sri Lanka has had 7 capital cities. Kandy is a bustling vibrant city, with crazy congested traffic. On the way we stopped to taste the local curd and treacle, it was mouthwatering. 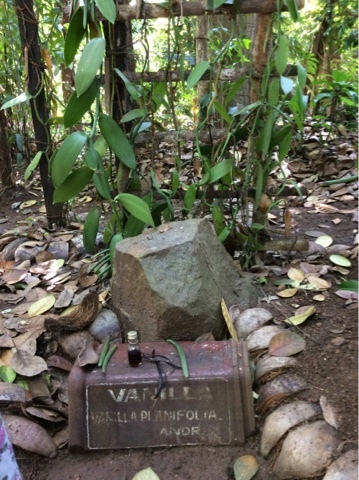 The drive was pleasant, stopping at a famous spice garden in Matale, which was very beautiful and shady. 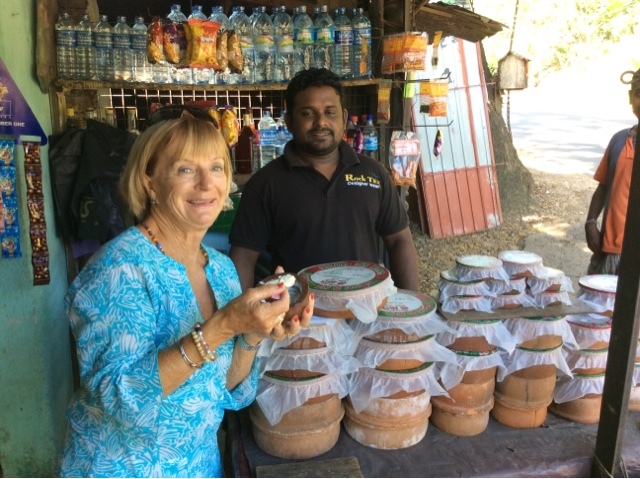 We were shown around by a very enthusiastic gentleman who was very authoritative on Ayurvedic medicine, he explained the properties of, cocoa,cardamon, nutmeg, sandalwood oil, cloves, a huge assortment of spices. 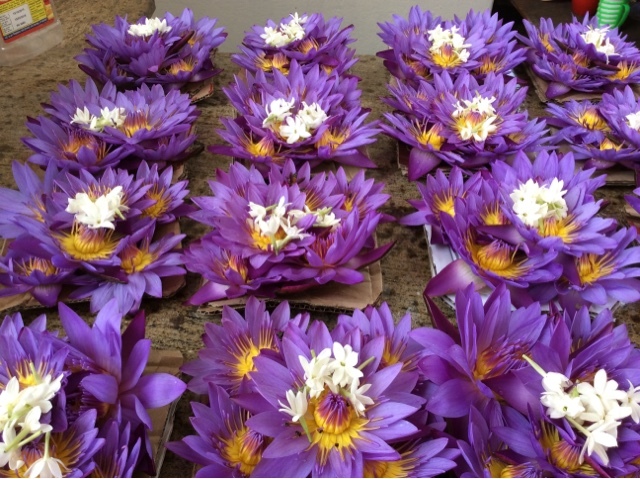 We were treated to a therapeutic massage of our shoulders and neck, and aloe Vera cream rubbed into our feed and hands. We came away totally pampered. Kandy is bustling vibrant city, with crazy congested traffic. 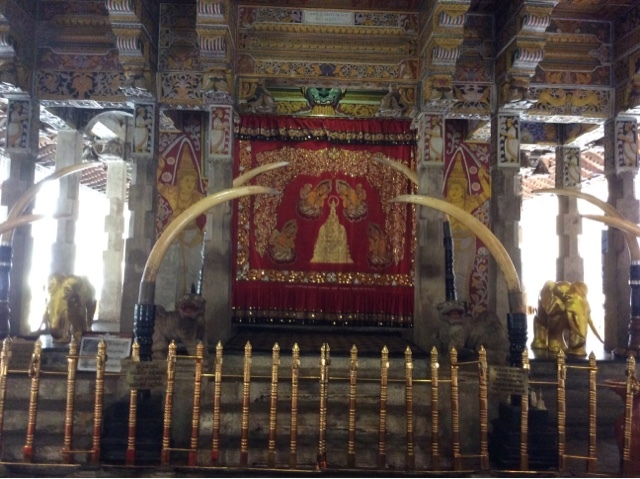 To get around in Kandy can take hours, our first point of call was was the famous Temple of the Sacred Tooth Relic, the most venerated shrine for Singhalese Buddhists, which safeguards Buddhist Sri Lanka's most precious relic, one of Buddha's eye teeth, now also a symbol of sovereignty. 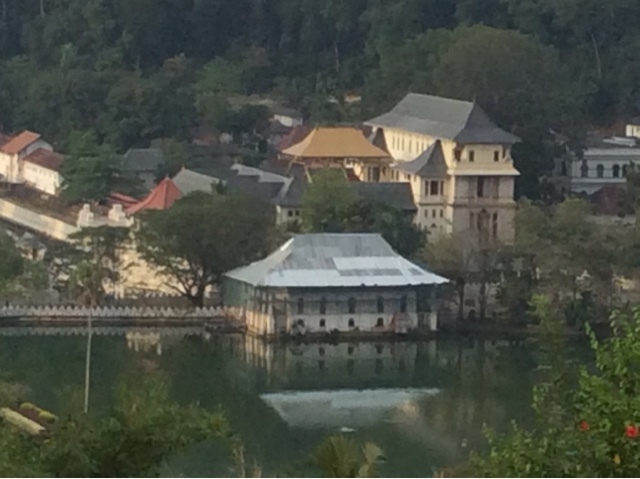 The temple is conveniently situated beside a lake. The city is surrounded by green hills with a gigantic statue of Buddha towering up out of them. Later we visited a gem house where we were shown Kandy's most precious and famous gem the blue sapphire, the temptation to buy one overwhelms us. Next was the wood carving workshop, where we were given a demonstration of the different types of wood. We were shown the natural pigment colours that can obtained from the local timber rainbow wood. When the shavings are placed in boiling hot water, it changes colour to orange; with acid from a squeeze of lime it changes the colour to yellow; a small piece of iron placed in the jar gave off a purple colour. 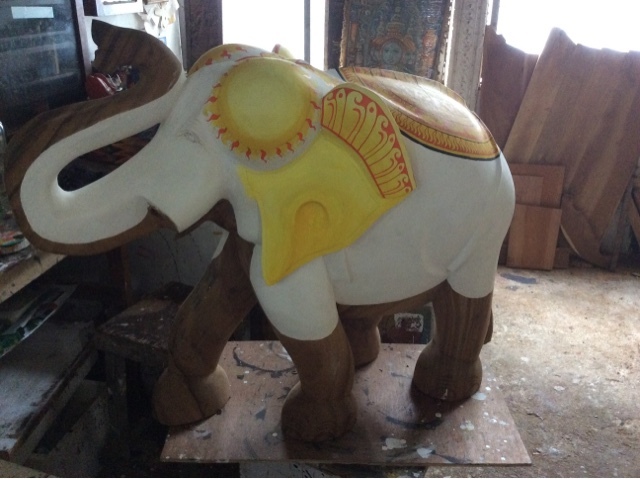 The carved wood is coloured with this method, giving a softer, subtle finish rather than the shiny, slightly garish colours of chemical paint.